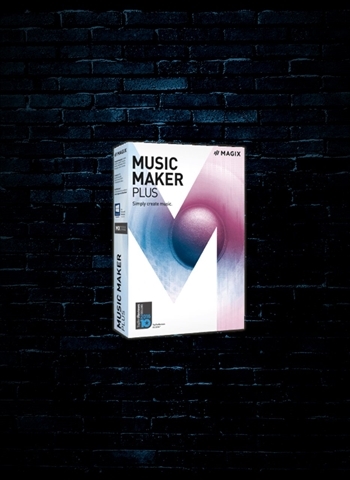 With Music Maker software, making your own music has never been simpler. Produce your own songs easily on your PC using the mouse and keyboard. Feel good tracks will be pumping through your speakers in just a few simple clicks! New! Customize your version of Music Maker with exclusive loop packages, new effects presets and cool software instruments. Add them easily and directly within the program via the Store. Lay down a base for your song with drum loops from genres such as hip-hop or dubstep. You can also make bring together your own grooves with virtual drum machines. Drag & drop to add a driving bassline or guitar melody to the drums. Easily add new loops & instruments any time. A relaxed piano, playful electronic sounds and pre-produced vocals: Music Maker is full of ideas for creating music. Quickly mix down. That's it!